The main result of the meeting between Russian President Vladimir Putin and his American counterpart, Donald Trump, on the sidelines of the G20 summit in Hamburg on 7 July 2017 was a ceasefire agreement for a de-escalation zone in the governorates of Daraa, Quneitra and As-Suwayda in southwest Syria and on setting up a ceasefire monitoring center in Amman. The United State's involvement in the multilateral Syrian settlement format marks an important new milestone in this process. American, Jordanian and, unofficially, Israeli participation in the settlement process allows for inclusion in the negotiations of the American-aligned Syrian Democratic Forces (SDF) and groups of the Free Syrian Army (FSA) in As-Suweyda and the Syrian Desert, as well as pro-Jordanian factions on the Southern Front, which refused to send their delegations to the fifth round of the Astana process. This achievement could potentially help preserve Syria's territorial integrity and include in the peace process all Syrian forces that are inclined to engage with other states diplomatically, and the territories they control, without any exceptions. It should be noted that reports about a certain planned de-escalation zone with US participation in the south of Syria surfaced long before the meeting between the Russian and American presidents. For example, on 6 June 2017, commenting on the airstrike on a convoy of Syrian government forces travelling towards the Al Tanf border crossing, the Pentagon noted that the pro-government forces had entered a “coordinated de-escalation zone”. Simultaneously, reports started coming in (at that time still without official confirmation) about Russian-US consultations in Amman on one or several de-escalation zones. 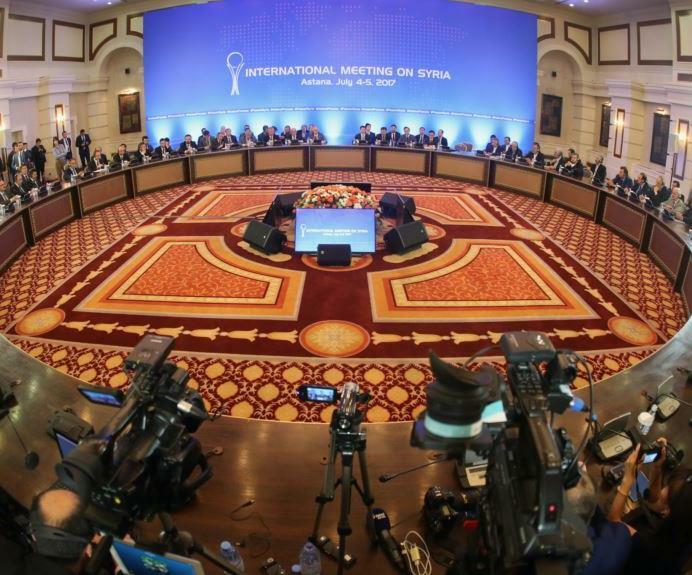 At the same time, experts began questioning the compatibility of the possible agreement for southern Syria with the memorandum passed in Astana in May. Even after the official rollout of the zone on the sidelines of the G20 summit and after the ceasefire came into effect on 9 July, these questions have not yet been fully answered. The United State's involvement in the multilateral Syrian settlement format marks an important new milestone in this process. The United States and Russia expand the southern de-escalation zone originally agreed upon in Astana to cover the As-Suwayda Governorate and also, unofficially, the opposition enclave in Eastern Qalamoun and territories in the Syrian Desert, including those around the population centre of Al-Tanf, which accommodates detachments of the local Sunni tribes from Revolution Commando, supported by American, British, Norwegian and Jordanian special operations forces. At the same time, Washington and Amman will not be promoted to full members of the Astana format and guarantor countries. Iran and Turkey, for their part, will retain their status as guarantor countries in this southern zone, in accordance with the Astana agreements. The newly included territories are not mentioned in the Astana memorandum on de-escalation zones but let us not forget that reports from those areas have repeatedly caused public repercussions in the past. To begin with, the United States decided against raising the level of confrontation in the east by attacking the pro-government forces that, instead of advancing in the direction of the pro-US units, formally announced their intention to fight against the Islamic State (while, on the other hand, creating a “Shiite corridor” into Iraq). Also, in parallel with these incidents, unofficial talks in Amman continued. Furthermore, it appears that the parties were interested in what such an agreement has to offer. The United States and Russia officially expanded the southern de-escalation zone identified in Astana by involving external players that are instumental in Syria's southern regions, namely Jordan and, informally, Israel. If were to happen, then Washington and possibly Amman would effectively become full participants in the Astana talks. Such a development could be regarded as an undoubted success of both Russian and American diplomacy: Moscow made Washington shoulder the responsibility for the actions of the Syrian opposition, while Washington, for its part, forced Moscow to influence Damascus and Iran, which is an extremely difficult task. The Russian media prefer not to mention it, but it is in the best interests of the Al-Assad government and the Iranians, whose clout in Syria depends directly on survival of the current Syrian regime, to discredit the entire opposition without exception. What the United States and Russia did was “reset” the format of the southern de-escalation zone as defined in Astana. In particular, this is the scenario at which Associated Press sources hinted when saying that the current agreement between the United States and Russia has nothing to do with the Astana memorandum. It is possible that, following the creation of the southern de-escalation zones and the security zone, with the USA among the guarantor nations, creation of similar de-escalation zones elsewhere in Syria will be discussed or is, indeed, already being discussed. Since February 2017, pro-government forces have been conducting active operations in the governorates of Daraa and Quneitra not just against Tahrir al Sham, but also against the aforementioned Southern Front coalition of FSA groups, which enjoys the support of Jordan's Military Operations Center. Following the inclusion of these governorates in the de-escalation zones identified by the Astana memorandum, there was no cessation of hostilities as there were in other regions incorporated into the ceasefire agreement. In other words, there has been no actual de-escalation in those provinces, so the format of a “zone” including them has been declared untenable. This third scenario appears to be the most probable. It also opens up additional opportunities for replicating such zones in other Syrian regions. It is possible that, following the creation of the southern de-escalation zones and the security zone (the latter implies a certain buffer separating the opposition from the pro-government forces), with the USA among the guarantor nations, creation of similar de-escalation zones elsewhere in Syria will be discussed or is, indeed, already being discussed. This possibility has been voiced by certain US experts. Tehran is concerned about the Amman consultations, fearing that the Jordanian negotiating format should gradually begin to replace the Astana process. As mentioned above, it would be logical to set up such zones in the north/northeast of Syria, on the territories controlled by the SDF. Long-term US military presence has already been secured in those parts in the form of a network of US military bases. In addition, despite the fierce resistance on the part of the Islamic State, the fate of that movement's informal capital city Raqqa is all but sealed. Therefore, the talk concerns the need for proactive measures aimed at configuring security zones in the northeast of Syria, with delimitation boundaries drawn beforehand for the Al-Assad and SDF forces advancing on the Islamic State from opposite directions. This would help avoid incidents and armed clashes. The Ankara factor is also important here: Turkey's position is understood to be aimed exclusively against any legalization of the SDF alliance, which Ankara perceives as a cover for the Kurdistan Workers' Party. The greatest problems with implementing any scenarios involving the United States in the Syrian settlement could come – indeed, have apparently long been coming – from Iran, and from the part of the Syrian leadership in Damascus which relies on that country. Tehran is known to have stated in the past that it opposes both the United States’ participation in the Astana talksand an American presence in any of the de-escalation zones. Washington's current stance with regard to Tehran similarly rules out any interaction with Iran and its allies (for the exception of Iraq) in regards to the Syrian settlement. This makes a situation when representatives of the two countries would sit down at the negotiation table as equal partners virtually impossible. During the first round of the Astana talks, while giving an overall positive appraisal of the format, the American Department of State expressed its bewilderment at Iran's participation. According to some reports, the United States and Jordan insist on all pro-Iranian Shiite forces being pulled out from those regions in southern Syria, which are planned to become part of the de-escalation zone. Israel supports this position: Tel Aviv has repeatedly delivered strikes in the past on Shiite forces supporting Al-Assad in southern Syria. Sources point out that Tehran is concerned about the Amman consultations, fearing that the Jordanian negotiating format should gradually begin to replace the Astana process. Iran appears to be particularly worried that the current list of guarantor countries in the Syrian settlement process could begin to change over time, with Tehran being driven out of the country. On the other hand, since the beginning of Syrian warfare Tehran has set up multi-layered presence in the country: it relies not only on the numerous Shiite multinational communities and Islamic Revolutionary Guard Corps specialists, but also on the local National Defense Forces and the unofficial units of the Syrian Hezbollah chapter. Russia could be accused of aiming all its reconciliation initiatives as a smokescreen in support of the revanchist sentiments harbored by Iran and by the “party of war” in Damascus. Tehran, therefore, is apparently demonstrating its unwillingness to recognize any agreements regarding Syria to be concluded without its participation. Washington and the Gulf countries had anticipated such behaviour from Iran and the groups it controls. For Moscow, this development is fraught with complications. Russia could be accused of aiming all its reconciliation initiatives as a smokescreen in support of the revanchist sentiments harbored by Iran and by the “party of war” in Damascus. The implications of such an accusation cannot be ignored. Despite the fact that the agreement between the United States and Russia officially came into being on 9 July, there is so far no clarity as to what it actually entails. There remain questions as to how the ceasefire in the south of Syria will be monitored, what the parties' positions are on Iran's involvement, and how the fight on the radicals will be carried out in a way that would not affect the “healthy” part of the opposition. Hypothetically, under a sustained ceasefire the opposition itself would be prepared to fight terrorist units. The main thing is for all the parties to strive for a sustained ceasefire regime and for a peaceful settlement of the conflict. For as long as such uncertainties exist, the ceasefire will continue to be violated. The Kremlin is seeking to flesh out the idea of creating four de-escalation ("safe") zones in western war-torn Syria while trying to help President Bashar al-Assad regain control of lost territories in the east. When it comes to the west, Moscow is talking about the de facto end of the civil war and aims to covertly weaken the Syrian opposition. As for eastern Syria, Russia is trying hard, though discreetly, to distance itself from the US-Iranian confrontation and preserve communication channels with Washington. It is also advocating decreasing the influence of both the United States and Kurds and urging pro-Kremlin oligarchs to help fix the economy. Russia's policy in Syria seems successful, and that appearance is meant to impress the Russian population ahead of the 2018 presidential election. In reality, however, Moscow is confronted with a range of problems as it proceeds with its purely tactical plans. Syrian government troops continue fighting in Daraa province, and the Southern Front — the rebel alliance that until recently had hardly opposed the regime — boycotted the fifth round of negotiations in Astana, Kazakhstan, which resumed July 4. Some Russian analysts, referencing their sources in the Ministry of Foreign Affairs and Ministry of Defense, argue that Russian military and political leaders are well aware that Iran and Assad intend to prevent the UN's peace plan from succeeding. (The UN Security Council unanimously adopted the plan, Resolution 2254, in late 2015.) The analysts worry that Tehran and Damascus might try to convince Moscow to not cooperate as well. Russia openly stands by its allies. For instance, to justify the Syrian government’s blocking of Tabqa, Moscow went so far as to accuse the United States and the Kurds allied with the Syrian Democratic Forces (SDF) of colluding with the Islamic State (IS). Moreover, Russia has warned that it will target US planes flying west of the Euphrates — though US aircraft hardly ever operate there anyway. One of the weakest points of Russia’s de-escalation zone plan is the problem of how to fight radical forces if Assad would have to launch an offensive through territory controlled by moderate opposition, given that Assad and moderates have signed a truce. The exacerbation of relations between the Kurds and Assad’s forces will give Turkey more leeway regarding Idlib, positioned deep in enclaves controlled by the radical opposition alliance Hayat Tahrir al-Sham (HTS). Yet such exacerbation would discourage new players from engaging in the peace settlement, which the Kremlin would have welcomed. Turkey is dissatisfied with the outcome of Operation Euphrates Shield. Ankara was only able to secure an area of 2,015 square kilometers (778 square miles) in northern Aleppo — half the planned area of 5,000 square kilometers (1,931 square miles). The operation also failed to dissuade the new US administration from relying on the Kurdish People's Protection Units (YPG) during the storming of Raqqa. During the Astana talks, Ankara insisted on extending the northern de-escalation zone not only to Idlib province, but also to the adjacent, opposition-held territories in Latakia, Aleppo and Hama. Turkey sees these territories as areas of its potential influence, given that local populations and moderate militant groups there are cooperating with the Turks. A source close to Russian intelligence services told Al-Monitor on condition of anonymity that Moscow has considered two options for Idlib. The first was to back the advancement of pro-Assad forces, which would inevitably trigger escalation, drag Russia further into the Syrian conflict, and affect its foreign policy, economy and internal security. The second option implies close cooperation with Turkey. Ankara is reluctant to welcome new Syrian refugees to its territory, still, it is ready to send its special forces to support the "moderate" rebel groups against HTS in exchange for concessions related to Syrian Kurds. In Syria's east, the race to maximize territorial gains creates favorable conditions between Damascus and Ankara. Both have difficult relations with the Kurds and could find common ground by cooperating against them. After the US downing of the Su-22 that allegedly attacked the SDF, the al-Muatasim Brigade — a faction of the Turkey-supported Free Syrian Army, — withdrew from talks with the SDF about al-Muatasim taking over control of 11 villages from the Kurds. Moreover, Assad's troops closed off the Aleppo-Afrin road, while Turkey started redeploying its troops and equipment south and west of Azaz for an offensive against the Kurdistan Workers Party (PKK) in Tell Rifaat and Afrin. A source in the Russian Defense Ministry confirmed for Al-Monitor that Moscow and Ankara have coordinated a joint offensive designed to allow Turkey to achieve two goals: weaken the US-supported, Kurdish nationalist Democratic Union Party (PYD), an offshoot of the Kurdistan PKK; and gain a sufficient foothold for further peacekeeping activities against HTS, which isn't a party to the truce. “The preliminary agreement implies that a small group of Russian military advisers will stay in Afrin to act as an intermediary between the Kurds and Assad. In its turn, Turkey will gain control of the sites it deems vital,” the source said. However, it was uncertain whether the agreement addressed 41 PYD/PKK facilities in northern Aleppo province and provided for a corridor from Azaz to Idlib. A corridor would link Turkey's zone of influence north of Aleppo with opposition enclaves in Idlib, which could weaken the Kurds and make them more cooperative with Russia and Assad. "Moscow is keen to secure Kurdish loyalty to Damascus, and in a way would want to punish Kurds for prioritizing relations with the US over dealings with Syrian and Russian military. But it equally opposes fighting across the entire Afrin canton," the source added. Ankara is aiming to control only the eastern and southern parts of Afrin canton, to link Idlib with the area recovered during Operation Euphrates Shield. However, the Kurds say Turkey wants to control all of the Afrin canton. If they halt the offensive on the IS stronghold of Raqqa to shift troops to Afrin, that action "could bring about heavy civilian casualties and trigger a tough US response,” the source said. In theory, Turkish troops can't join the operation against the HTS if they are deployed in the safety zone in Idlib. If they were stretched thin trying to do both, the troops would be easy prey for radical groups. Al-Monitor sources in Turkey close to military officials say Ankara is considering establishing several military facilities in Idlib. Turkey would be backed by the opposition troops that previously engaged in Operation Euphrates Shield. A joint Turkish-Russian military group reportedly has deployed to Sheikh Barakat Mountain on the border of Idlib province. Turkish troops may access Idlib from two areas — either from the border village of Atma to the town of Darat Izza and Sheikh Barakat Mountain west of Aleppo, or through Salqin and Harem. Moscow has no choice but to rely on Turkey in terms of separating opposition groups, which may presuppose the military crackdown on notorious jihadists, as well as lure some non-al-Qaeda groups to join Ahrar al-Sham. Such attempts have been made already, and as the pressure over the HTS continues, some of its fighters may want to join other “moderate” groups. However, such complicated scenarios — currently, diverse HTS units control about 80 out of 156 local councils in Idlib — with an ill-conceived cease-fire mechanism undermine Moscow’s peacekeeping efforts to involve its closest allies from among post-Soviet states: Kazakhstan and Kyrgyzstan. On June 22, Vladimir Shamanov, the head of Russia's State Duma Defense Committee, said proposals were being worked out for Kazakhstan and Kyrgyzstan, Russia’s allies in the Collective Security Treaty Organization (CSTO), to join the military campaign in Syria. The next day, authorities of both states denied reports about the negotiations. A similar proposal was made to Armenia, whose security forces have long conducted undercover operations in Syria to protect Armenian ethnic enclaves. The Armenian forces accumulated considerable experience in peacekeeping in Iraq, Kosovo, Afghanistan and Lebanon. “Kazakhstan’s peacekeeping battalion took part in minesweeping in Iraq. Even though Astana has used a multifaceted approach and spared no effort to be perceived as a reliable mediator, it can be forced to deploy a small military contingent. Kyrgyzstan can be compelled to follow suit, as Russia has recently written off [Kyrgystan's] new debts,” an official from the Russian military-industrial complex told Al-Monitor. In sum, it’s possible that if there's a flare-up between the Kurds and Damascus, Turkey may make the most of the situation and take its own actions, reneging on its agreements with Moscow. In turn, Russia may convince CSTO allies of the need to send troops to Syria — even though it won’t be easy. That said, however, Russia’s position on the Kurds isn’t linear. Moscow doesn’t strictly oppose a Turkish operation as Turkey's way to make the Kurds pay for their dealings with Washington. Yet the presence of Russian forces in Afrin is still supposed to be a formal demonstration of defending the Kurds, even though the Russian forces won’t hamper Turkey’s offensive. However, there’s a serious risk that outside interference into Idlib will create new alliances in the opposition, not their separation into “moderate” and “radical” factions. G20 Summit was much awaited globally, and mostly not because of its format and discussions, but because of the top level bilateral meetings regularly held on its sidelines. The most intriguing talks were the first meeting between Donald Trump and Vladimir Putin, that lasted over two hours, giving impression that the two leaders enjoy company of each other. However, agreements or significant declarations were not expected, while some breakthrough has been achieved. And the achievement doesn’t concern Russia-US bilateral ties, that remain at their low, but Syria issue, as countries seem to have finally found the common ground on the Syria matter. 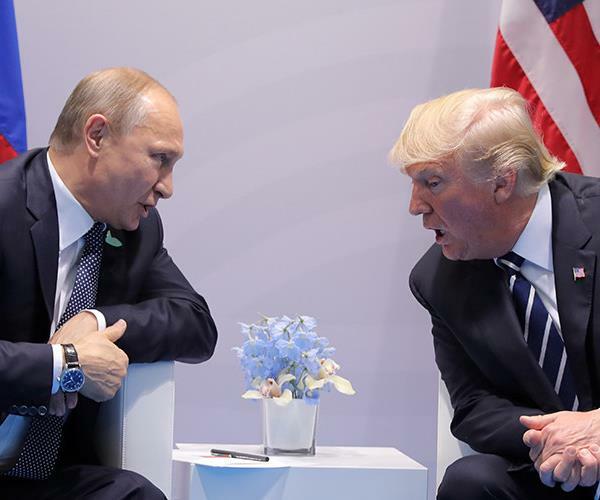 Both the US and Russian leaders claim the political victory after brokering a ceasefire in Syria for the first time since the breakout of the Syrian conflict. The unprecedented deal was not expected even by those who were optimistic regarding finding a solution to the Syrian conflict. 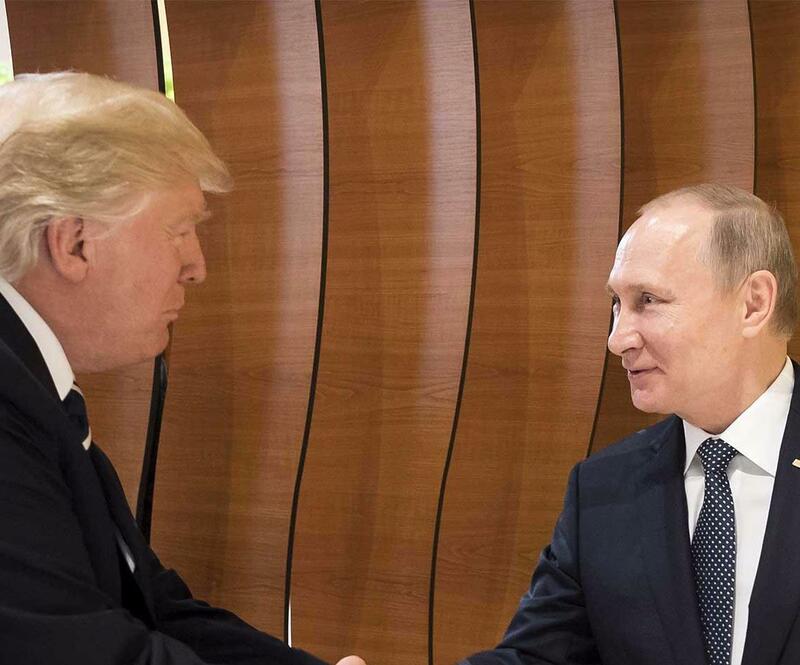 US President Donald Trump and his counterpart Vladimir Putin have agreed to a ceasefire in Southwest Syria starting from midday of Sunday, July 9, 2017, a day that follows their meeting at the G20 Summit in Hamburg, Germany. A statement by Russian ministry of foreign affairs reveals that talks were held in Jordan one month ago, in June, aimed to reach the deal on the “de-escalation region” in southern Syria. A memorandum of understanding to establish a de-escalation zone in the regions of Dara’a, Quneitra and Suweida was agreed upon Saturday July 8, 2017 between Russian, American and Jordanian military and security experts. Russian Foreign Minister Sergei Lavrov who confirmed the news said that the deal will be effective as of midday Damascus time on July 9 which stipulates that a ceasefire will be in effect. The deal provides that Russian troops will be deployed near the Jordanian-Syrian borders to replace the Iranian forces as Jordan has conservation regarding any militias or sectarian forces near its borders. This deployment is in interest of all the players, as it minimizes the dubious and undesirable Iranian presence in strategically important areas in Syria that threatens the Syrian conflict settlement and deteriorates regional stability and climate. The Hamburg face-to-face meeting between both leaders allowed to discuss in details the agreement which also includes areas that have seen recent clashes between Syrian army forces on one hand and Israeli and rebel fighters in the Golan Heights on the other. After Hamburg, what is Syria about? Is Washington still focusing on overthrowing the Syrian president Bashar Al Assad? Why did Putin stress that the shift in the American stand would help reach a final deal and settlement to the Syrian conflict peacefully? The answers would come simply from the trips made by some Jordanian officials to Moscow and Washington in addition to Syrian-Jordanian meetings at high security levels in the past few months which helped to culminate the deal, crowned by inking the agreement in Amman to help regain peace to the war-torn Syria. Regardless of the Astana talks and the outcome of the negotiations between the representatives of the Syrian government and the opposition, the aspirations of the Syrians would come true if this deal gets into effect with sincerity from all concerned parties whether regional or international as any spillover of the Syrian crisis would this time be a deluge, affecting the whole Middle East, igniting further sectarian wars that would spread like fire in the bush. This year Russia has been involved in talks with Turkey and Iran over the creating of 4 de-escalation zones in Syria to be policed by two surveillance centers: one in Jordan and the other in Turkey. Though the monitoring process will be conducted mainly by Russian military police in coordination with Jordanian and American officers, the situation on the ground will be decided by the deployment of heavy artillery and troops. This justifies why the Syrian army and its allies started an expansive and comprehensive military campaign to regain many strategic positions before ceasefire gets into effect. The tripartite agreement was also in line of contact agreed upon between the Syrian government forces and associated troops on one side and rebels on the other hand. The three signatory countries voiced their commitment to working on a political solution" based on UN-backed talks in Geneva and UN Security Council Resolution 2254. 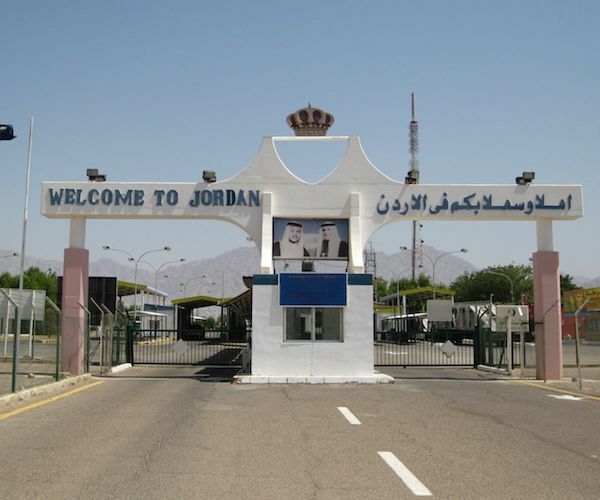 Jordan seemed the focal point nowadays to the US administration and the Russian policy makers as the understanding was designed to reduce violence in an area of Syria near Jordan’s border, which is critical to Jordan’s security and Israeli stability. Jordanian King Abdullah II is a frequent guest both in Washington and Moscow these days, negotiating many regional issues with the two superpowers. A warm welcome and support came directly from the UN on the reached promising agreement between the US and Russia, saying it would enable upcoming peace talks. Much work lies ahead to ensure that constructive talks would yield to the positive results aspired to perform a sustainable ceasefire over the long term. In order to avoid any whiplash, Russia, the USA and Jordan, should establish a more comprehensive plan to better control the de-escalation to proceed ahead with the three other de-escalation zones. This will help to avoid any consequential issues in the relationship between the three nations through direct and candid address of their concerns. The meeting between Putin and Trump has set up a robust and comprehensive framework for future cooperation on Syria and for solving other Middle Eastern issues. Yet, this cannot be achieved without regional cooperation and coordination from the parties concerned, Turkey and Saudi Arabia in particular, as the peace process majorly depends not only on the situation on the ground, but on what is going on at the negotiating table and on the presence of the consent between the negotiating sides. At least on the possibility of its achievement, that mostly depends not only on the will of the sides, but also on the influence projected on them by their regional supporters. Without a hint that a GCC-Qatar rift tearing apart the fabric of the regional stability and cooperation resolution is anywhere in sight, ill and aged Saudi king Salman via a royal decree, Wednesday morning declares his 31-year-old son, Mohamed bin Salman (MBS) a new crown prince. Naming of the young crown prince along with a number of other young appointees, completes important leadership shift to a new generation in a country with more than half of population under the age of 25, and a desperate need for social, political and economic reform. In parallel, the former crown prince, 57-year-old King’s nephew, Mohamed bin Nayef was stripped of all official functions, including the interior minister post where he was in charge of the country’s security and the anti-terrorism efforts. Although the international media has presented the event as breaking news, currently occupying the media space across the globe, informed sources in Washington and Riyadh say the move was expected, adding that more change is on the way at the top of the Saudi government. Another important event featuring Saudi royals escaped public attention, due to media occupation with the Riyadh Summit outcomes, the ongoing Saudi-led Qatar crisis, and lastly the new crown prince appointment, and the expectations of the economic and political changes his ascent to the first successor to the Saudi throne would bring to the country, region and globally. The missed event is a brief yet hugely significant Saudi future King’s visit to Russia, China, Japan, France, the UK and the US in the past few months meant to initiate a new phase of the soon-to-be Saudi King’s relationships with these countries, all UNSC members, with the exception of Japan. During Russian visit last month Bin Salman is believed to have sought Russian support after successfully gaining American backing in terms of his economic and political pursuits in the region ― namely the GCC Iranian- Qatari standoff, and the anti-terrorism efforts in Syria, Libya, Iraq and Yemen. In Moscow the just appointed Saudi crown prince was expected to cement several significant agreements with the Russian president, but the visit fell short of expectations, followed soon after with the breakout of Qatar crisis. There are speculations that Saudis asked Russians to cease their support for Iran, and the Syrian government, but Russians did not warm up to the idea, unlike the Americans, so the visit was abruptly cut short. Such a visit at the beginning of Muslim Holy month of Ramadan last month, on the heels of the Riyadh Summit where Saudis sought to prove to the American president Trump their de facto leadership of the Muslim Sunni world. As for Mohamed bin Salman, his power and influence both within the Saudi royal family and across the Atlantic has grown significantly in the past few years. As a defense minister, Mohamed bin Salman spearheaded the war on Yemen, and is the chief ideologist of the GCC anti-Qatari campaign. 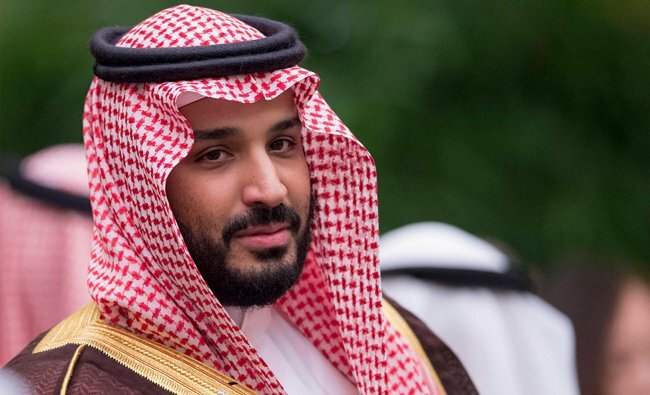 The young, tremendously ambitious crown prince is also credited with the recent mega-billion arms deal concluded with US president Trump during Riyadh Summit, and the securing of American support for the Sunni collation against Iran. Bin Salman is also the chief proponent of the ambitious economic reform plan Vision 2030, launched in 2016 with the aim of diversifying and modernizing country’s oil dependent economy. According to sources close to Israeli military intelligence, the new crown prince has strong links with the Israeli top military, intelligence and political brass and as such plays a key role in US president’s plan for building friendly relations among Arabs and Israel. This link to Israel was made evident through the rekindled crisis with Qatar, when some important figures in the Israeli leadership have joined Saudi condemnation of Qatar and its support for ‘funding and supporting terrorism’ and the Saudi-Israeli common arch-enemy – Iran. Bin Salman is also known for his mentee relationship with the de facto ruler of the UAE, Abu Dhabi crown prince Mohamed bin Zayed. Both UAE and Saudis seek to curb Iranian and Qatari influence in the region. While the conflict with Iran and Qatar, for most part is presented as the political and ideological in nature ― the two being accused of fomenting and abating extremism and terrorism in the region and beyond ― that storyline is only part of the truth. It is noteworthy mentioning that Qatar and Iran share the world’s largest natural gas field and both together and individually represent political and economic rivals to the Saudi regional leadership role. Firstly, Iran is considered key political rival to the Saudi regional dominance, both due to its influence among the region’s Shia Muslims and its growing importance as the energy supplier. Secondly, Qatar, although insignificant in terms of size of its territory is important as the home to the largest US military base in the region, as well as the key regional and global exporter of the natural gas. Moreover, some of the Qatar’s financial institutions, such as its national bank, are the wealthiest in the region, thus a direct threat to the cash strapped Saudi economy staggering under the weight of protracted low-oil price crisis, augmented by the completely misguided and unwinnable war in Yemen. Add to the combustible mix a massive amount of money ― which according to some estimates is likely to surpass a trillion dollars ― just poured out of the country’s thinning reserves into the American struggling economy ― Qatar’s cash reserves seem like a perfect gift to the ‘aggressive and ambitious’ Saudi crown prince. Quite unexpected, amid the unprecedented diplomatic rift between the two countries, is the congratulatory cable sent by Qatari Emir Sheikh Tamim to Mohamed Bin Salman upon his high appointment, viewed by some politicians and analysts as an icebreaking attempt to restart soured relations between KSA and Qatar and to open a new page of bilateral relations based on mutual respect rather than on dictatorship of agendas or preset doctrines. Two big questions now lingering on many analysts’ minds are whether the aging Saudi king will soon step down and hand the mantle to the young son, and whether the son would use the just acquired US weapons and the Sunni support to carry out a blitzkriegon the small, annoying brotherly Arab nation, or choose a path of peace and reconciliation. In both cases, young crown prince – soon to be king will be facing two grave dangers – both to his own and the country’s future – one internal and the other external. Will he be able to consolidate the internal power soon enough to ensure his ambitious reform policy is carried out and the country’s economy put back on the path of growth to quell the likely internal dissent? Will he be able to curb his own inflamed passions and stop short of another disastrous war campaign, this time against a very different enemy, be it either Qatar or Iran? Russia beheading ISIS: PR or fake news? On the 16th of June Russian Ministry of Defense announced that according to preliminary data Russian air force liquidated the leader of ISIS Abu Bakr Al-Baghdadi on the 28th of May in the Southern suburbs of Raqqa. The message hit headlines worldwide and Russian politicians and several mainstream experts declared that they had no doubts in professionalism of Russian military and believed that no one else but them should eliminate the leader of the hydra. The author of this material has a great respect for Russian military who risk their lives following orders in Syria, and understands that counter terrorism is not a public affair but is still a crucial matter from political point of view. 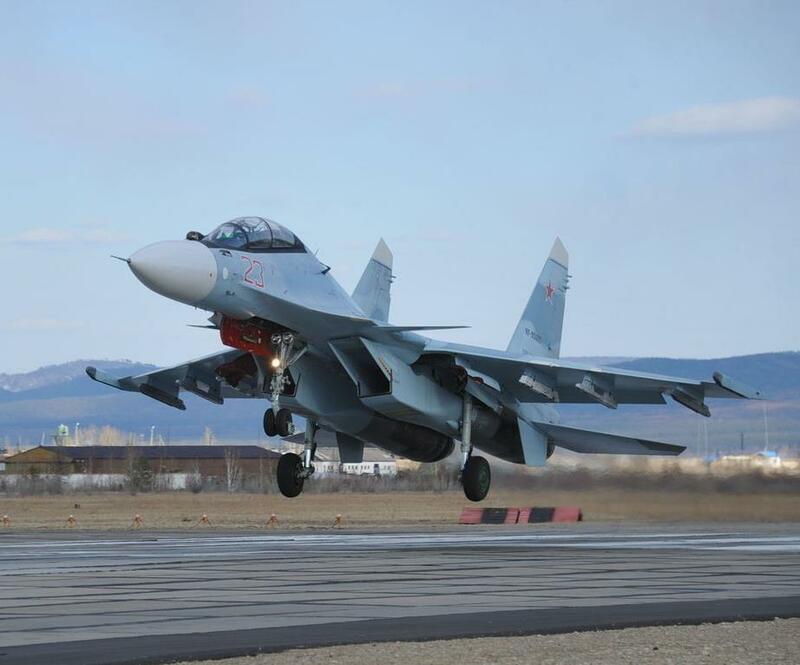 Hopefully, Russian Ministry of Defense will soon present a video evidence and comment its messages, so everybody, and those who have doubts in particular, could know for sure how “on the 28th of May SU-35 and SU-34 planes eliminated high-ranking leaders of the terrorist group who were members of so-called Military council of ISIS, 30 middle rank field commanders and up to 300 their guards”. Supposedly among them were “Raqqa’s emir Abu Al-Haji Al-Mysri, emir Ibrahim An-Naef akm-Hajj, who controlled the territory between Raqqa and As-Suhne, ISIS head of security Suleiman Al-Shauah" and probably Al-Baghdadi. As this evidence is not published yet, allow me to enter the camp of those who have doubts and believe that this declaration should be treated as an element of information confrontation between Russia and the US, without even mentioning its evident targeting at internal electorate before the elections of 2018. And that is why. The declaration was made two weeks after the supposed strike and several days after Syrian television reported about the elimination of Al-Baghdadi in Raqqa (while in April Russian spetsnaz was already trying to catch fleeing Al-Baghdadi). And of course, it is unclear why the delay is so long - in 2016 when Russia and the US were divvying up the head of ISIS speaker and cheif of international operations Al-Adnani, the messages in both countries were aired with several hours in between (according to the information from Syria, Al-Adnani was bombed in his car as a result of internal feuds in ISIS). In the web there is a video from “official” media of jihadists Amaq News Agency dated 28 May, where one can see the demolished buildings shown on the photo of Russian Ministry of Defense. This video demonstrates around 10 bloody corpses being buried in a single grave. All the resources documenting the strikes of both coalitions in Syria report strikes of Western coalition that caused 18 deaths (according, for instance, to the Syrian Observatory for Human Rights, which is not much loved in Russia but has a network of local informants). The Western coalition also reports strikes near Raqqa on 27 and 28 May. 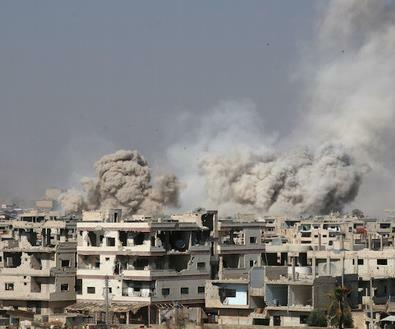 However, Russian airstrike on Raqqa is still possible – some strikes were launched in this city from time to time. But regardless who made the strike… Jihadi resources (“official” and partisan ones) always immediately inform about a death of an emir. Neither the author, nor experts from the US and the Middle East familiar to him did not note any messages about deaths of such high-ranking officials in the end of May. It is noticeable that such large gathering of militants (and even of the military council) as Russian military ministry reports, took place several dozen kilometers from the combat line with Kurdish-Arab alliance “Syrian Democracy Forces”. It is unclear why the meetings should be carried out in the buildings under the heavy bombardments of both coalitions, but not underground, while ISIS intensively uses underground communication during combat in urban areas and in desert villages. Firstly, there is information (from intercepted Islamists’ documents) that ISIS started preparing for loosing big cities, Mosul in particular, back in 2015. Foreseeing these events they have restructured their management hierarchy – Shoura Council, military council, security and reconnaissance council were evacuated into the network of underground shelters on the Syrian-Iraqi border, and Al-Adnani killed in 2016 became the head of a parallel managing structure. Secondly, the military council was relatively small even in the better times for ISIS in order to protect it from outsiders and agents of special services, so there is even no available information on its several members (Shoura council counts approximately 9-11 persons). Hypothetically, the strikes that demolished several buildings (according to the photos presented by Russian defense ministry) would have eliminated the whole military leadership, not only Raqqa’s emir, who could be in fact responsible for the defense of the province in case of death of certain directions’ commanders. By the way, the head of security service (Amniyat) does not have to be a member of military council. Thirdly, the names of the presumably eliminated leaders are not known for researchers, though is is not an argument. I shall clarify that. For a long time Raqqa’s emir was Abu Luqman (Ali Moussa al-Hawikh) who was freed from prison in 2011 by Syrian government under an amnesty. He presumably had conflict with speaker Al-Adnani (and eliminated him) and was considered a possible successor to Al-Baghdadi. According to certain information, Abu Lukman was still in charge as the province’s emir in 2015 (though the media in 2015 claimed that ISIS had concealed his death). During the assassination of Al-Adnani (30 August 2016) he was already an ex-governor, though he was still alive. It is still unclear who replaced him on his post. However, as we have mentioned before, the death of emir of the central province in May 2017 was unlikely to remain unnoticed. For example, the Kurds eliminated far less significant emir Abu Khattab al-Tunisi and seven jihadists near Raqqa in 11 June and their photos immediately appeared in the “special resources”. On the 26th of March Tabqa’s (Raqqa province) emir, jihadist from Germany, was eliminated and on the 21st of March ex Nusra’s emir in Raqqa Abo Al-Abbas was killed in Idlib. Both deaths immediately became public. The only publicly available information about the emir who controlled the region between Raqqa and As-Suhne is that opposition Syrian journalists claim that Ibrahim An-Naef Al-Hajj is a real As-Suhne local, but he was killed by an air strike back on the 24th of May in the age of 60 and had no affiliation to ISIS. Regarding the head of Amnyat, a single name is repeated in the jihadists’ documents – “Dr. Samir” (according to some sources Abu Ali, to others – Abu Sulayman al-Faransi (from France), to third – Abu Ahmed of Belgian-Moroccan origin). It is hard to say, whether it is a single person or several ones. For instance, commander Abdurrahman Mustafa Al-Kaduli who was close to Bahdadi and was killed in 2016, had around seven names. Thus, yes, Russian strike on the designated area is theoretically possible, but it is extremely difficult to check whether the bombardment really took place as well as to clarify the numbers and names of killed leaders. Within the framework of information warfare with the US it is a rather successful move that was mentioned by all media worldwide and provoked a desirable information noise. However, there is one nuance: if Western official institutions and media may spread evident disinformation and are still believed, in case with Russia it works differently and most often has a negative impact. What if everybody is really killed? Islamic state is a military quasi state with strict hierarchy in every sphere. During its existence its leadership has greatly changed, and even though a loss of a charismatic leader inflicts some damage to the organization, ISIS has learnt how to survive and manages to do it rather successfully. Former members of Saddam Husein’s army and special services together with foreign “specialists” were replaced by a new generation. For instance, the place of Al-Adnani was taken by Abu Sufyan al-Sulami who is a well-known preacher from Bahrain with good connections in the Arab world. It were Al-Adnani and his successor who made the landmark declarations of 2016 about the continuation of fight after the “loss of Raqqa and Mosul”, probable return to the “initial existence” in these countries (underground on the Iraqi-Syrian border) and expansion of the “caliphate” to other countries of the world. The Islamic State as its predecessor Al Qaeda has adapted to the loss of leaders, its units can act rather autonomously. As it happens now in Iraq were sabotages and suicide bombings occur even in the liberated areas. Or in Iran - in March 2017 the official resources of ISIS called the existing cells to form their own Shoura council and to elect a “minister of war” due to their autonomous existence (though according to ISIS administrative territorial the “Perisan lands” are mainly included in Iraqi “Wilayat Diyal” (does not overlap with the official borders of Diyala province)). So, even the unproven death of the leaders does not bear much influence on the combat readiness of ISIS units while they are able to restructure in the conditions of ethnic and confessional misbalance particularly if their operatives and preachers are still active. However, there is a weak point in ISIS ideology – it is the “caliph”. Hypothetically, the leader of Shoura council Abu Arkan Al-Amiri, a truly mythical person (no one knows where he is from, how he looks like, etc. ), can take “caliph’s” place if he is killed or arrested, and Shoura council will elect its new leader. ISIS propaganda devoted much attention to the personality of Al-Baghdadi, his education in the Islamic law and his “chosenness” (he is presumably a member of Quraysh tribe to which prophet Mohammed belonged, etc.) and never mentioned the possibility of having a successor. So, in case his death is proven and if the Islamist propaganda is not ready for it, “caliphate” may fall into disarray as it will be unclear to which “caliph” the whole “Muslim Umma” should pledge allegiance. The Islamic state should understand that. Following the Pentagon’s June 14, 2017 statement on a military deal regarding a squadron of 35 F-15 jets delivery to Doha, expectations are ramping up for a cluster of tranquility in the Gulf diplomatic mess which could have paved the way for a military confrontation between four countries against Qatar, as they blame Doha for funding and supporting terrorism in the region. The total amount of the deal is not just US$ 12 billion – the price of the announced 36 jets, as additional 36 jets are to be agreed upon later on – making the deal worth more than US$24 billion. Jets manufacturer Boeing in a statement on its website said: “This is a very important deal for preserving the production of this sort of planes and creating 60,000 job opportunities in 42 American states.” This means that the money acquired through the Qatar deal helps Americans proceed with their business as the production of the jets was at risk due to lack of demand. 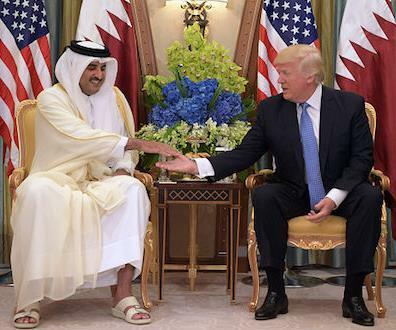 The American president has fuelled the threats against Doha by his strongly-worded warning, where he accused Qatar of being a “funder of terrorism… at a very high level,” calling on Qatari government to “stop immediately supporting terrorism”. Shortly after the deal was closed, the President Trump’s tweets of a few days earlier in which he said that “Qatar has a history of backing terrorism at a very high level, and must be punished” as well as other in which he insisted that “the isolation of Qatar is the beginning of the end for terrorism”, the tweets have completely disappeared from his Twitter account. Moreover, they were succeeded by other statements praising Qatar as a strong US ally, while stressing that the warplanes deal represents a big step towards ‘consolidating’ strategic and security cooperation between the two countries. Earlier, US president Trump has expressed Washington’s support for Bahraini, Egyptian, Saudi and Emirati anti-Qatar coalition. This has been made clear during recent White House press conference when he announced that along with “Secretary of State Rex Tillerson, our great generals, and military people”, he decided [that] “the time has come to call on Qatar to end its funding”. The already complex Gulf crisis was further complicated with the subsequent US fighter jets deal with Qatar and the ensuing joint US-Qatari military exercise that have together sent counter-signals to the four-state alliance, effectively contradicting the US Secretary of State’s conciliatory request delivered in a calming tone to the countries directly involved in the rift. Though the American Secretary of State is preparing a meeting for the Saudi, Qatari and Emirati officials in Washington, Trump seemed angry with the Qatari officials, mainly the country’s Emir Sheikh Tamim, for turning down an invitation to visit the US, under suspicion that the invitation was a trap similar to the one his grandfather fell into, when while on a visit in Egypt and the UAE, his son Hamad carried a coup that dethroned him. Was then the American Qatari multi-billion jet deal a placebo or a relaxant to the belligerency against Doha from its neighbors? As the deal is still to be considered by the Americans and their officers since the jets won’t be instantly handed over to Qatar, the deal is said to be absorption of the American anger as the US has about 10,000 troops in Al Udaid base in Doha, which would act as a springboard spearheading any coup schemata. With the UAE ambassador to Washington statements that there would be no military intervention in Doha, this has double meaning from diplomatic and political viewpoints as history has proved it a long time ago. When diplomats speak about something, the opposite takes place. It was evident from the outset of this crisis that it would get increasingly serious amidst expectations for further escalation, especially after a number of GCC officials started paying visits to the UK and Russia. The latter being under radar to gauge whether Russia would side with the four-states’ alliance or Doha, due to the huge economic benefits it would gain through yet unannounced agreements with Qatar. It is speculated that Russia is considering taking control over the world natural gas industry. Once Russia wins over Qatar, as it has already done with Iran, more than 80 per cent of world gas production would be at its disposal. Was this recent rapprochement between Moscow and Doha the real reason for the uproar between Doha and its Arab brethren rather than ‘funding and supporting terrorism’? Will this crisis set the Middle East region partially or wholly ablaze? The Qataris are now playing politics, as far as the F-15 deal is concerned. The deal has helped the American administration secure an additional US$ 12 billion injection into its military industry. It remains to be seen whether it will help Doha to disentangle itself from the brotherly ambush. These are all chess pieces moved around adeptly by the superpowers, at the suitable time, especially after the 55 Arab and Islamic states alliance meet up in Riyadh Summit last month. As to who will make the check mate move to end the game is anybody’s guess at this point. 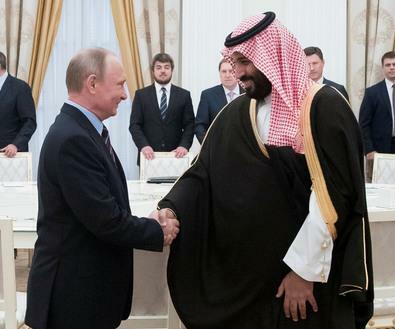 The recent visit to Moscow of Mohammed bin Salman, the deputy crown prince and defense minister of Saudi Arabia, didn't make many headlines. However, given the current developments in the Gulf with Qatar, the visit has acquired new significance. Until recently, "America's hand" was seen behind virtually all events in the Middle East. Now that Moscow has raised its regional profile, “Russia's hand" is seen here and there: No sooner had the Qatar crisis erupted June 5 than some suggested the prince had discussed with the Kremlin the Saudis’ decision to shun Qatar — which is very unlikely. President Vladimir Putin gave his guest a hearty welcome when the prince arrived May 30. Their public statements struck a particularly friendly note, as is usually the case at the meetings of high-ranking officials. Putin praised their rapidly expanding ties, stressing that since early 2017, economic cooperation has increased by 130%, according to state-owned Tass news agency. Indeed, today’s relationship contrasts sharply with the once virtually nonexistent economic ties, which were inhibited in the 1990s and 2000s. Both countries’ economies are driven largely by oil production and there wasn’t much opportunity for collaboration at that time. Also, Russian Muslims hold the Saudi royal house in high esteem. The renewed emphasis on religion in Russia makes the reverence particularly significant. It is noteworthy that authorities from Russia's Muslim-majority regions pay regular visits to Saudi Arabia and meet with the country’s top officials in a bid to grow their stature in Russia’s Muslim community. Yet the resulting state-to-state interactions have been somewhat bizarre in recent years. The friendly relations are underpinned by numerous agreements, but few of those have been implemented. Both countries aim to build trust, which they deem absolutely necessary. Moscow and Riyadh have had different perspectives on the international landscape and until recently, they found themselves on opposite sides of most regional issues. Notwithstanding their contrasting approaches to regional matters, Russia’s military campaign in Syria won Riyadh’s respect. Thus, the kingdom started to view Moscow in some ways as a potential alternative to Washington, which had proved unreliable under the administration of President Barack Obama. In this context, the frequent encounters of the Saudi prince with Putin have special importance. Even though Syria was officially the key item on the meeting’s agenda, no formal arrangements were finalized. What is more important, though, was the two sides refrained from rebuking each other. Salman, according to some informed sources in Moscow who spoke with Al-Monitor, was supposed to spend far more time in Russia’s capital. Today, however, it is clear that the dramatic developments brewing in the Gulf regarding Qatar most likely led him to shorten his stay. As the meeting failed to produce any serious deal, it allows for some speculation about the prince’s real agenda regarding Moscow. It seems quite evident that Salman intentionally arrived in Moscow soon after US President Donald Trump’s trip to the Saudi kingdom May 20-21. Even the red carpet welcome the Saudis gave Trump couldn’t close the credibility gap between them. Riyadh doesn’t completely trust Washington. Given the uncertain future of Trump’s presidency and his still-vague Middle Eastern strategy, putting all of the kingdom’s eggs into one basket would be an ill-conceived step, to say the least. That’s where Egypt comes into this speculative scenario. Some experts in Moscow assume the Egyptian government needs Russia’s weapons but is unable to pay the bill. However, Riyadh, capable of backing Egypt, is becoming involved in establishing security zones in Syria, which could emerge as a way to constrain Iran’s ambitions for control in Syria. Yet Saudi Arabia, a militarily weak state mired in the Yemeni war, would rather entrust a reliable ally, presumably Egypt, with a peacekeeping role in the security zones. This would give Egypt a chance to strengthen its regional stature and bolster popular confidence in its government, which is grappling with severe economic problems. This interpretation fits current developments in the Gulf. Russia is on good terms with Qatar and Iran — Saudi Arabia’s sworn enemy. Qatar’s alleged ties to terrorism and Iran are the reasons it is being ostracized in the Gulf. Judging by statements from the Russian Foreign Ministry, Moscow is not willing to interfere in the crisis engulfing Qatar — which suits Riyadh but that in no way means Russia’s support for Iran is waning. What this could mean is that Russia wants to see Saudi Arabia as a leading representative of Arab Gulf monarchies’ interests — in which case Russia must satisfy the Saudis’ legitimate interests in the region. As Russia and the United States are holding back-channel talks over de-escalation zones in southern Syria, there’s a larger question of whether the two countries might broker an ultimate peace deal for the Syrian civil war. Officially, Moscow is relying on the de-escalation zones to be in effect for an indefinite term and considers them instrumental to settling the conflict. However, agreements on the “soft decentralization” of Syria reached in Astana, Kazakhstan, tend to prompt questions rather than give answers. It’s not clear yet how those violating the cease-fire will be punished or who will become the peacekeepers in these so-called security zones. Not many in the opposition even understand the term “de-escalation zone,” which does not exclude military operations. Moreover, according to Al-Monitor sources in the Free Syrian Army (FSA), the militants fear that the agreement will play into the hands of the regime, which aims to divide and “domesticate” the opposition, according to the FSA sources. Toward that end, the opposition fears it is to be sent to fight the radical Hayyat Tahrir al-Sham (HTS) and the Islamic State (IS). The cease-fire agreement is likely to be violated. Nevertheless, if Moscow is set on keeping it, the prospect of a political settlement will become much more realistic, especially after IS is cleared out of eastern Syria. Still, the cease-fire is just one step on the long road toward ending the civil war and isn’t considered a breakthrough. It’s obvious that, despite its seeming adherence to United Nations Resolution 2254, the Syrian regime and Iranians will hamper any significant reforms that could reduce their influence. Here, Moscow will have to solve a very complicated problem: how to make its allies compromise without giving up on Syrian President Bashar al-Assad — at least not right away. In view of the Russian presidential elections scheduled for March, even the Russian public would perceive Assad’s ouster as a Kremlin failure. However, as they say, where there is a will, there is a way. 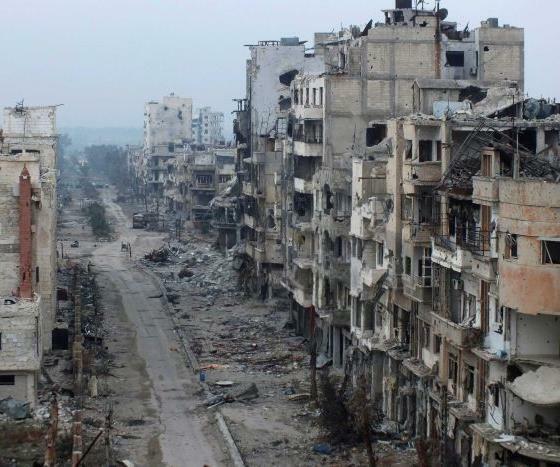 There’s a view among those Russian experts who take an unbiased look at the Syrian situation — unlike those who indulge in propaganda — that the most feasible settlement scenario is something along the lines of the famous Dayton Agreement for peace in Bosnia and Herzegovina (1995). Above all it would allow Syria to preserve its army and integrate the government and the opposition military formations into new armed forces. Numerous discussions with the Syrian opposition in Moscow prove that, in essence, their suggestions concerning the settlement boil down to the Bosnian model. The Dayton Agreement provided for two administrative units: the Federation of Bosnia and Herzegovina, and the Serb Republic (Republika Srpska). The separation boundaries did not correspond to the front line as of the moment of cease-fire. Despite criticism that it would weaken the central power, the Dayton Agreement proved key to settling the conflict: The sides committed themselves to ensuring security in their territories and preserving the civil law-enforcement bodies, and pledged to send all foreigners, including advisers and volunteers, out of the country. In Bosnia, military formations were integrated in two stages: first Muslims and Croats created joint military forces, and only then were they joined by Serbs. Eventually, by 2006, three armies had merged into one with three infantry brigades at its core and every brigade had a Muslim, Croatian and Serb battalion. As for a Syrian version of the Dayton Agreement, which would integrate military formations into one army not exceeding 150,000 troops, the integration should be implemented in several stages. For instance, first, groups of militants and opposition would unite into corps to consolidate the maximum of armed people, then these corps are to be reduced to the necessary numbers. The redundant fighters could be transferred to civilian positions to help restore the destroyed infrastructure. It seems expedient that one corps be created at the Turkish buffer zone. The Bosnian plan of building the national army could be used to integrate the Southern Front rebel alliance and the Syrian Democratic Forces (SDF, which includes the Kurdish People's Protection Units, or YPG), thus contributing to ethnic and confessional diversity rather than sectarian division. However, right after the cease-fire it would also be reasonable to create a special military council of 20 to 30 people. Under international supervision, it could become a platform for talks and negotiations between the commanders of the regime and their counterparts from the opposition. This military council could also contribute to political reform, as it could be used as both a watchdog authority and “bench strength” for the key defense and law-enforcement positions. For example, the post of the defense minister could go to the regime candidate, while the chief of general staff could become someone from the opposition. That would balance the situation. The question about the nature of the reform — should it be military or political — is to be discussed by thinkers, but there are at least two arguments in favor of the first priority being a military council. First, in today's Syria, security is a critical issue. It is complicated by confrontation with the radicals’ troops, which will likely try to wreck the agreement by any means. It is also compounded by the necessity of ensuring the security of the population in the opposition-controlled territories relying on local councils. Second, the agendas for the Astana and Geneva meetings prove that it will take years to agree on political platforms, while the issues of cease-fire, amnesty and forming delegations can be dealt with today. Integrating the regime and opposition armed forces will only be viable after a series of political reforms. This two-year process must be put in sync with forming the transitional government. Otherwise, we may see another case of the Tajikistan scenario of 1997, when President Emomali Rahmon kept the office while the army and the opposition failed to unite. Another problem to be discussed is how to integrate the US-supported Kurdish YPG groups, which demonstrate a strong separatist sentiment and are not to be easily disarmed in the presence of the American contingent in Syrian Kurdistan. One could regard the formation of another corps, which should by all means include various formations of the SDF, where at least 23,000 are Arabs. The Arab participation should be real and not for show, and the YPG and Kurdistan Workers Party (PKK) symbols should be abandoned. Therefore, Moscow believes that after the liberation of Raqqa and Deir ez-Zor from IS, Americans are unlikely to give up on their presence in northern Syria. However, Moscow can benefit from the US presence if the formation of the united military forces is supervised by the four countries: Russia (Syria's west), Turkey (the northwest), the United States (the northeast) and Jordan (the south). Largely, these steps would reduce Iran’s influence, which cannot be allowed on the Syrian-Iraqi border, where IS is most likely to return. It’s not news that in Syria, trust is in short supply. Who can guarantee that the militants will not go on the offensive? Who can guarantee the opposition won’t end up in prison as soon as they disarm? The credibility issues are connected with the pressure on Damascus, and in the Astana format, Russia may show readiness to make compromises. However, there is a big question of how to pull Assad outside the settlement framework. The Kremlin has not yet found the answer, or maybe it has not been looking hard enough. 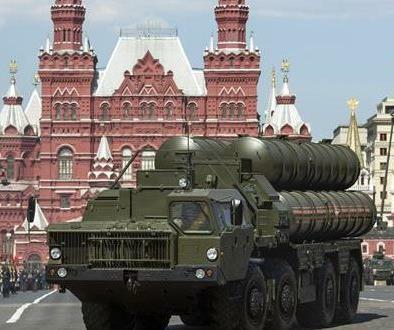 Russia Ready to supply Turkey with S-400, but why does Turkey need it? Few days ago Russian president Putin stated Russia’s readiness to supply Turkey with advanced S-400 air defense systems. Turkey’s spat with the EU and growing discord with the NATO may be reason behind Turkey’s demand for Russian weapons. For its Arab neighbors the key question is whether this move is aimed against the newly proposed ‘Arab NATO’ or just a Turkish self-defense response following Washington’s arming of Syrian Kurds. Erdogan may fear meeting the fate of his neighbors in Iraq and Libya, both former US allies, and preparing for the plan B ― turning eastward. A number of factors, including its growing alliance with Russia and Iran, may have forced Turkey to look to boost its defenses independent from its traditional Western, NATO allies. Diplomatic spat with Germany over refugee deal, strained military relations over Incirlik base, last year’s failed coup, recent American arming of the Syrian Kurds ― all are seen by Turkey as Western moves against its sovereignty. Disliked as he is in the West, with current set of circumstances surrounding his country, Turkish president is wise to strengthen ties with Russia, a country with which the country shares borders and many interests, and most importantly, a reliable ally as witness in Syria and Iran. This is especially important considering that despite Turkey’s being an extremely important Western ally, Erdogan himself is considered a political persona non grata in the US ― the fact that only pushes him further into Russian arms. While some Arabs may consider the move as targeting the recently announced ‘Arab NATO’, the move actually has different aim. The Arab NATO for now exists only on the paper, and even on the paper not all its signatories are in agreement on all of its stated goals. Moreover, the actual formation timeline is questionable and depends on the pace that Trump administration and Pentagon would take to deliver the weapons they have just sold to the Saudis, and the internal dynamics of the alliance in the making, and its individual members that have widely different military capabilities. As the NATO itself seems to be in disarray, the formation of its Arab equivalent is even more quizzical ― especially as a Trump project. Erdogan is buying Russian S-400 because he fears that should the war in Syria and Iraq escalate, and the US pushes for the Kurdish state, Turkey itself would be subject to territorial loss. The shifting alliances and abandoning of allies is not a novelty in the American foreign policy, on the contrary ― it is something of a rule rather than the exception, and Erdogan seems to have grasped the possibility of this scenario being replayed with him at the helm of Turkey, and is trying to avoid ill fate of his neighbors. At this stage Turkish president probably fears the destiny of Iraq’s long time ruler Saddam Hussein whom America first supported against Iran, then labeled dictator and finally deposed in the most gruesome way. Erdogan has been already widely described in the Western media as a villain and a dictator. There was an attempted military coup last year, which he believes was directed (and likely aided) by the US. From this vantage point, Erdogan is justifiably cautious. Doğu Perinçek, leader of the Turkey’s Patriotic Party (Vatan), believes that the Erdogan “got caught on the hook” by Washington. In an interview with Russian Sputnik Turkey, he said “An attempt to divide Syria or Iraq would mean an attempt to divide Turkey. Moreover, this is also an attack aimed to shatter Erdogan’s power. Washington’s tactic is to isolate Erdogan in the international arena”. The only way for Turkey to “avoid a territorial division” is to “develop cooperation with Russia, Syria, Iraq and Iran,” he believes. The pressing question then is, if Turkey is seriously reconsidering its alliance with the West and turning towards Russia and Iran led regional block, what is the future of NATO Incirlik base? What role would Turkish base in Qatar play? What with the US base in Qatar, should Qatar too change priorities and form alliances with Russia and Iran? Amidst a serious and deepening rift between GCC countries and Qatar, Turkey’s key ally in the Gulf, there’s a possibility that the announced purchase of Russian systems might end up in the Gulf peninsula nation should the US decide to move its base, and Turkey decides to fill the void, as it already has a military base in the country. International isolation and campaign of demonizing both Turkey and Qatar seem to have counter-effects. Instead of pushing them apart this strategy is pushing two once major Western allies firmly and inevitably into the Russian embrace. Trump’s truly big (arms) deal with the Saudis has so far only managed to divide the Arab Gulf states. The security the deal promised to deliver seems further now than ever. Was it a genuine mistake by the inexperienced Trump administration, lack of strategic forethought or something more sinister, and who are the real villains in the Middle East? Jordan’s official stance regarding Syrian conflict supports peaceful resolution, yet reports have appeared in the media claiming that the kingdom is readying for a ground invasion of Syria. 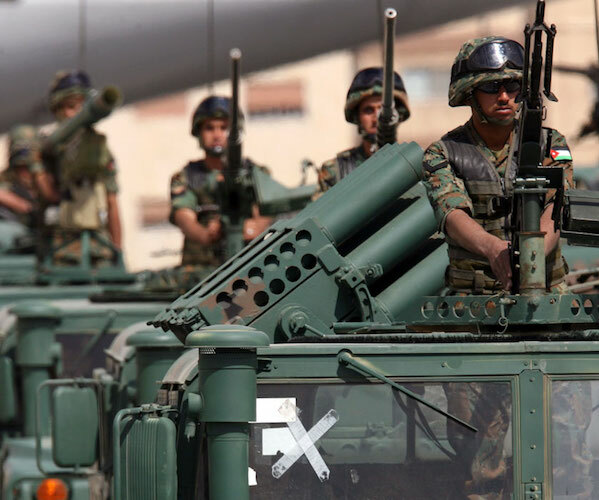 As “Eager Lion” military exercises in Jordan this year coincided with the intensified anti-terrorist fighting along Jordan-Syrian border, the media speculated about the US, British and Jordanian joint plan to send ground troops across the Syrian border. The news triggered brief war of words between Syria and Jordan, while Jordanian officials reiterated that no Jordan’s troops will be sent to Syria. Late in April during a meeting with Jordanian journalists King Abdullah II reiterated his country’s commitment to the peaceful solution of the Syrian conflict, adding that Jordan will keep its military in combat readiness in order to prevent any conflict spillover across the border onto its territory. The King’s aforementioned statement, along with other Jordanian official statements, clearly demonstrates that the news about Jordanian troops in Syria can be labeled ‘fake news’, the kind the media has been awash with since Trump’s election. What could then be behind these and similar allegations and fake news reports about the Syrian war situation and peace negotiation attempts, and why should they appear now? A look back at recent developments in the diplomatic circles, including the US and its Arab allies, where Jordan plays prominent role as a peace broker, including Syrian and the Palestinian-Israeli files, there are evidently elements both in the US political establishment and elsewhere that prefer the continuation of conflict to peace. For example, during the last round of Syrian peace negotiations in Astana, Kazakhstan a tripartite agreement on establishment of ‘de-escalation zones’ in Syria was signed, with Russia, Iran and Turkey as guarantors. While the US administration welcomed the ‘safe zones’, the anti-Trump establishment attacked it and liberal media continued with familiar tune that America ‘should do more’, calling for military involvement in both Syria and Iraq. Shortly after the safe zones agreement was reached, president Trump hosted Russian Foreign Minister Sergei Lavrov and the ambassador to the US, Sergey Kislyak. Right after the meeting the uncorroborated reports appeared in the leading US media that the US president has shared sensitive intel with the Russians, allegedly endangering an ally’s spy embedded within the ISIS/Daesh ranks. Israeli media claimed the intel sharing put the life of its agent in jeopardy, while some Arab media disputed it saying the ally in question was Jordan. Israel complained that the intel sharing was undermining its efforts to establish an historic alliance with some Gulf Arab states. The key issue regarding the intel sharing claim is the timing of the news release and its effects on the efforts of the US president to resolve the problems inherited from previous administrations while establishing credibility in the eyes of the electorate. Since inauguration Trump and his close associates have been targeted by the US mainstream media on diverse accounts, including his campaign promise to collaborate with all countries, including Russia. The Trump Russian connection saga culminated in ‘Russia hacking the elections’ claims, and the subsequent dismissals and resignations of number of Trump’s key allies. Until today the war within the US establishment against Trump has not ceased, in fact, it seems to have intensified. Following the establishment of the Syrian de-escalation zones spearheaded by Russia, and Trump’s meeting with two Russian diplomats, the US president’s antagonists had to turn up the heat. So, it is likely that the whole story regarding intel sharing is in most part fabrication aimed to undermine Trump as president, as well as derail his efforts to find the solution for the Palestinian – Israeli issue where both Jordan and Israel are important actors. Jordan has played a prominent role in promoting two-state solution for Palestine issue, and in anti-terrorism efforts in Syria and Iraq, hence those who oppose either may seek to undermine Jordan’s reputation as a reliable partner of both Russia and the US. Such unsubstantiated media claims have only one purpose – spoiling relationships. In a similar vein, claims of Jordan’s troops intervening in Syrian south seek to undermine the efforts the kingdom has made in preserving its own security amidst mayhem on its doorstep, while building cooperation with both the US and Russia – two major international actors in the region. Various Jordanian officials, including Jordan’s King, consider Russian role in Syria crucial in diminishing terrorist activities in the country. 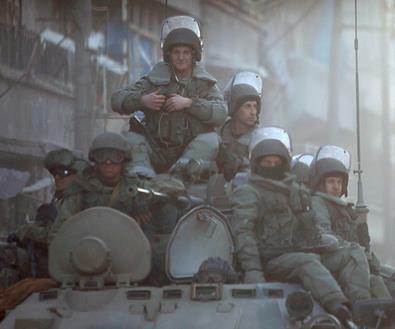 Jordan and Russia face similar situation in Syria, regarding terrorism, as the kingdom does. Around the same number of Russian citizens have joined terrorist ranks in Syria, as have Jordanian, so Jordan understands Russia’s vital need to prevent these fighters from returning home, carrying out terrorist acts and indoctrinating others on Russian territory. Latest statement of Russian Foreign Minister Lavrov is a proof of this, as he stated that Russia will destroy ISIS/Daesh terrorists in every part of Syria. As for Russia so for Jordan – geography is destiny. Jordan’s central location in the Middle East determines its foreign policy orientation. Situated in the heart of the Middle East the Kingdom is deemed an oasis of peace and stability in the region fraught with peril and an important partner by both Russia and the West. As its future hinges on the regional security and stability relationships with all countries, especially those with high stakes in the Middle East are paramount. Riddled with the problem of Syrian, Iraqi and Palestinian refugees Jordan seeks to balance its foreign relations in line with its national security interests. The security of the Syrian southern border is of great concern to Jordan, and the quickest possible reestablishment of law and order, and cessation of hostilities in Syria are very much in Jordan’s interest. As the global powers have stepped up anti-terrorist efforts, including Russia and the US-NATO and its Arab allies, Syrian Army will succeed in reestablishing control over the country. Government retake of territorial control and elimination of terrorist pockets would enable the refugees to return to their homes, and most importantly, relieve the economic and security burden the refugee issue has placed on Jordan. Whether we like or dislike Assad, he is a legitimate president of the Syrian Arab Republic, according to the international law. Every country in the world has political opposition, and whether it has a say in a particular country’s governance is an internal issue of each country. The world has witnessed the outcomes of Iraqi, and Libyan regime change interventions. Egypt had also ousted its long-term president Mubarak during the so-called ‘Arab Spring’ only to elect an even worse one, who within a year managed to bring country’s economy and security to the brink of collapse, and had to be removed by a military coup. International relations studies recognize that every country’s road to democracy takes a different trajectory, and the majority of political experts today admit that Syrian conflict was not entirely of internal making. As for the Hashemite Kingdom of Jordan, it is certainly not its job to decide the ruler of Syria. This is the matter that Syrian people have to decide on through a political process embedded within the country’s constitution and the norms of the international law. No country, including Jordan, would like outsiders to dictate its system of governance, and the same goes for Syria. Moreover, Jordan sees no threat from the current government of Syria, and has no intention of sending its troops to fight on its territory as doing so would represent the breach of its neighbors sovereignty and territorial integrity – which Jordan respects and will continue to respect. Trump's overseas visit, the first since he has become the 46th US President, is not typical as it started with Saudi Arabia, the first leg of his external tour which takes him also to Israel and with the Vatican as his final destination, defying traditional first state visits that are usually paid to Washington’s old allies. That is one of the reasons why the world is following the visit with a pity dose of skepticism, while the Middle East region is boiling with happiness. This time the tour is not only a purely geopolitical matter. It is predetermined by a complex pack of geopolitical, political, business reasons and personal beliefs. The Middle East is at the center of the major global turbulences. The Middle East is the cradle of the world’s religions and of civilization. The Middle Eastern countries are important partners in terms of investment and trade, as they have high financial capabilities for investments and trade development while undergoing intensive full scale development in many sectors. With this tour, based on visiting three centers of three main world’s religions, Trump somehow gives a message of coexistence, and of building bridges between the religions and of reconciliation. The Riyadh Summit has become the starting point not only of his tour, but is deemed a new face-off of regional and world order. The summits may enter the modern history as a cornerstone of the new unprecedented tomorrow. They were not only about fighting terrorism and extremism, that are fundamental threats for the whole mankind, but about forming new alliances, closing the rows of the Muslim world under the powerful shield of the US. It is about formation of a new system of cooperation and breaking off with the heritage of Obama, considered weak-willed. However, the speech in Riyadh delivered by Trump at some extent reminds of Obama’s one, delivered in 2009 in Cairo University, during his first few months as president, entitled “The New Beginning,” which addressed Muslims from a Muslim capital. That time the White House Press Secretary Robert Gibbs has stated that the choice of Egypt was predetermined by the consideration, that “it is a country that in many ways represents the heart of the Arab World.” Trump has targeted in his speech not only the Arab World, but the whole Muslim community, except Iran, from heartland of Islam. The Muslim world is at the same time both the source of terrorism and extremism and its main victim. 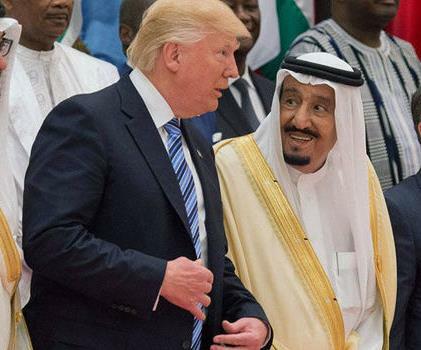 And Trump’s decision to make the first foreign visit not to the old allies, but to Riyadh can be explained also by the fact that old allies are incapable to lead the fight against the main threat to the world and to eradicate terrorism and radical Islam. Unfortunately, old Europe is incapable to take actions, be effective in crisis management, while plunging in everlasting disputes, vain rhetoric, loud declarations with fatal absence of real action. Old allies are incapable to make “America great again.” To become great, America needs to lead those who really hold the keys to the resolution of the main tragedies and problems of humanity. Trump gambled on the Middle East. The only powers that can save the whole international community are the Muslim ones. Absolute responsibility of leadership lays on the shoulders of the Kingdom as it is a custody of two holy mosques and the heart of Islam, for the sake of the religion and believers, of humanity and peace. The meetings were not only about fighting terrorism and extremism, that are fundamental threats for the whole mankind, but about forming new alliances, closing the rows of the Muslim world under the powerful shield of the US. Russia is left outboard of the historical alliance and initiative, while suffering from and fighting the terrorism and religious extremism on a daily basis, being targeted by terrorists and having regions majorly populated by the Muslim community. But even if the gates of the alliance and cooperation launched in Riyadh are left open for the “friendly” states, Russia, one of the few allies of Iran, will hardly be welcome on board. Friendly to Iran, Obama is replaced by hating the Persian State Trump. Trump unites the countries against Iran, which he has pointed as a main trouble maker of the region. Taking a unique flight from Riyadh to Israel, he will make an effort to bring to an end the Arab-Israeli conflict that splits the region and breeds strife, damaging global stability. Most likely he will fail to become the peacemaker we all aspire for, but anyway the effort is worth to be made. With this historical first ever flight from Saudi Arabia to Israel, he is trying to bring Israel to the congregation of the regional states as an equal partner. From the view of the current US administration this can be explained by the fact that Israel and the Arab States are facing the same enemy – Iran. The formation of a structure resembling Middle Eastern branch of NATO has already sparked criticism in the US. Trump’s opponents who consider the perspective of the US to support one side in a sectarian conflict threatening to the national interests. The visit in general was covered most critically by the US media, to the contrary to Arab ones, which praised the historical visit in the most flattering and complimentary evaluations and appraisals. The Arab World feeling weak in face of the new threats, suffering from the oil price cut that is posing a heavy burden on the national state economies which were not accustomed to austerity measures, feels in dire need of the US shield and of the strong and determined president in the White House. Trump has already demonstrated his might with airstrikes in Syria last March that have much pleased the regional powers. The Arab world pins high hope on Donald Trump; however, the presence of the US in the region has never brought anything but wars, instability and destruction. But the hope for the better dies the last. But this time it has all chances to perish completely. Donald Trump, with whom the Arab world is so happy, despite his uncomplimentary remarks about the regional powers he had been making before running for president of the US and his presidential campaign, forgotten and forgiven by extraordinary Arabic magnanimity, makes his countrymen very dissatisfied. And the things are developed in such a way so far that Trump has all chances even not to remain in office even by the end of this year. If the things follow such a scenario that is predicted by most renowned analysts’ that would mean the return into power of the Democrats and return of Obama-like agenda back on track with a much more friendlier approach to Iran, and far less friendly one to the GCC and mainly Saudi Arabia. In such circumstances, somehow rephrasing Trumps words from his speech delivered during Riyadh Summit, the Middle East will have to decide what kind of future they want for themselves, for their countries, and for their children. It is a choice America cannot make for Middle Eastern states. And instead of waiting for anyone to protect them and solve their problems, it is the most appropriate time to unite their forces themselves, to trespass contradictions, to diversify global ties, to fight terrorism and radicalization themselves, to take the lead in building their own future. The upcoming 22 years will be the hardest for the region. And how the regional powers will survive the turbulence depends exclusively on their own potentials rather than relying on others. What’s behind Damascus’ claim of 'invasion from Jordan'? In recent months, the area of the so-called Syrian-Jordanian-Iraqi triangle has seen fighting, negotiations, armistice, the breakup of old coalitions and the propping up of new ones. Over the past few weeks, the Russian media have given this area much attention, mainly due to repeated statements by Syrian authorities that an invasion of the southern regions of Syria in Daraa province is being prepared from Jordanian territory as part of a US-devised plan and that Damascus will regard this as an act of aggression. Damascus' statements seem to have a strong propaganda element. Syria's overall purpose seems to be to neutralize opposition successes in the fight against the Islamic State (IS) in eastern Qalamoun and to launch an offensive in the west in Deir ez-Zor (on the Euphrates between al-Bukamal and Raqqa) using army forces, the National Defense Forces (NDF) and Shiite militia to split the rebels in both eastern Qalamoun and around the Jordanian border. The regime hopes to advance to al-Tanf area, where US-allied forces have been training Syrian militias. Al-Tanf is on the Iraqi border, not far from Jordan. The fact is that for all intents and purposes, an invasion of the British, Americans and Jordanians into Syria (both to the north and to the south) took place a long time ago. At al-Tanf, coalition instructors and units of the special operations forces are acting together with the opposition and formed a buffer zone about 10-15 kilometers (6-9 miles) deep into Syrian territory, near the border with Jordan where American and British special forces are operating. In the summer of 2016, US helicopters even carried out landing tactical assault in the area of al-Bukamal in the rear of the IS militants, but the operation ended unsuccessfully. Reports on why this happened are contradictory. However, it appears that Islamists using a system of tunnels on the Syrian-Iraqi border struck at the rear of the New Syrian Army (NSA), while allied fighters from the Forces of Martyr Ahmad al-Abdo, as well as local tribes, did not support the “liberators” — US-supported groups. All this led to the disbanding of the NSA; its remnants then entered the alliance called Revolution Commando, composed of the Forces of Martyr Ahmad al-Abdo, Jaish Usud al-Sharqiya and the so-called free clans army operating in the Syrian desert under the leadership of Mohannad Ahmed al-Tallaa. Al-Bukamal is an important border gateway city, and controlling it is a goal for both the United States and groups such as Jaish Usud al-Sharqiya. The US interest is to first take control of al-Bukamal and establish a military facility there for future border control — an idea long discussed by some American experts. The prime driver for Jaish Usud al-Sharqiya is the desire to win back home territories, since several hundred fighters in this faction are coming from Deir ez-Zor. They receive a monthly payment of $150 for fighting IS from the center from the so-called Military Operations Command in Jordan. From a military perspective, it is not clear why the United States and allied forces would want to seize the entire “southern triangle” along with the Druze enclaves; this would include actions from the Southern Front, which operates in Daraa and Suwayda and is not part of Revolution Commando. Nevertheless, there is a confrontation between Revolution Commando and regime forces. In response to the airstrikes, Jaish Usud al-Sharqiya shelled the positions of pro-government forces using artillery. On May 10, Jordanians shot down Syrian drones. On May 13, a mobile Soviet-era manufactured Strela-10 SAM was seen in the ranks of the Syrian grouping — this anti-aircraft missile system apparently is to serve as a psychological deterrent and as something to have just in case. Tallaa said the positions of pro-government forces and the opposition in al-Tanfa area are 43 miles apart. “We saw their flags, and if they attack us, we will answer,” the commander of the opposition coalition said. Thus, Damascus used the idea of the invasion of the forces of the Western coalition in Jordan and presented drone-taken pictures in which regime armored vehicles were shown 43 miles from the Syrian border in a move separating the opposition in eastern Qalamoun and al-Tanf region and advancing toward Deir ez-Zor along the Damascus-Baghdad highway. Pro-government media promote this action by saying that the Syrians need to develop trade relations with Iraq. However, it is difficult to imagine that any trade relations are possible in the medium term when IS militants constantly organize attacks all over Iraq, including Anbar province, on the other side of the border from al-Tanf. There also is a rebel grouping in al-Tanf area that operates in conjunction with the US and British special forces, as well as the large, 75,000-strong al-Rukban refugee camp in northeastern Jordan near the borders with Iraq and Syria. In addition, an airfield may be operational soon in the Jordanian province of Mafraq, near the Syrian border, apparently for the operation of American or Jordanian helicopters that would support opposition activities in Deir ez-Zor province. It is clear that Syrian forces are unlikely to give away control over such a critical neighborhood at the junction of Jordan and Iraq. Yet advancing toward al-Bukamal with a stretched-out group of forces that can easily be attacked by either opposition rebels or IS fighters makes it very difficult. Pro-government formations will likely try to unite with those in Palmyra, and, accordingly, conduct operations against the opposition in eastern Qalamoun. While this would violate the truce, the regime forces will have an excuse, since this opposition enclave was not technically included from the very beginning in the “security zones” of the memorandum signed in Astana, Kazakhstan. In this case, Damascus and Iran could once again resort to calling the insurgents “al-Qaeda-associated terrorists.” At the same time, creating a “Shiite corridor” from Syria to Iraq might not only derail US-Russia talks but also trigger a counter-response from the Gulf states. None of this is a step toward a political settlement.